Make it safer for people to cycle and more people will cycle, experts tell MPs and peers at Get Britain Cycling inquiry. Infrastructure, infrastructure, infrastructure. That was the overwhelming message given to MPs and peers at today’s session of the parliamentary inquiry on cycling. A national default 20mph speed limit in urban areas was also key, experts at the inquiry said. The All Party Parliamentary Cycling Group inquiry is now on its third session, with three more to come. The two hour evidence gathering sessions are held in committee room 13 in the House of Commons. Today’s session was about cycling infrastructure and urban design. Witnesses from cycling and pedestrian groups, universities, urban design and transport organisations presented evidence on segregation, junctions, signage, cycle parking, road maintenance, urban design, traffic calming and speed limits. The (all-male) experts at todays session included CTC’s Roger Geffen; Tony Russell of Sustrans; Gerhard Weiss of London Cycling Campaign; Mark Ames of the ibikelondon blog; Adrian Lord of the Chartered Institute of Logistics and Transport; John Parkin of South Bank University; Dr. Dave Horton of Lancaster University; Mike Wilson of the Highways Agency; John Dales of Urban Initiatives; Rod King of 20s Plenty; Tony Armstrong of pedestrian organisation Living Streets; and urban designer Phil Jones of Phil Jones Associates. MPs and peers at today’s session included Lord Scott (who, famously, cycled to the 1996 Scott Inquiry on arms sales to Iran); Lord Hoffmann; Lord Berkeley; Julian Huppert MP, Sarah Wollaston MP, Oliver Colville MP, Steve Brine MP, Fabian Hamilton MP, Mark Lazarowicz MP, and Jason McCartney MP. Sustran’s Tony Russell told the MPs and peers that the number one and two requirements for getting more people cycling was high quality infrastructure on busy roads and getting speed limits reduced. It was important for cycle infrastructure to be designed for less experienced cyclists so segregation from motor traffic was key. "A 12 year old should be able to safely navigate it," he said. LCC’s Gerard Weiss stressed that "junctions matter hugely" especially on roads urban that look and feel like motorways, with multiple lanes and complicated intersections. Race-track Britain was not conducive to cycling – or walking – and roads would have to be modified. 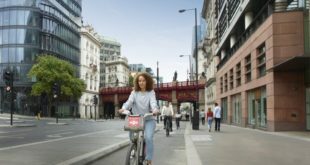 Most of Britain’s current commuter cyclists are the "quick and the brave," said Mark Ames and separation of cyclists from motor traffic "offered the highest potential return on investment." Fear of traffic, he said, was the main reason why more people don’t cycle. Geffen of the CTC said speed reductions would be a quick and effective measure to make cycling safer. The CTC wouldn’t be in favour of moving cyclists off the carriageway and putting them on pavements, space had to be taken away from cars not from pedestrians. Geffen said the CTC wanted reduced traffic speeds, particularly at junctions, and also wanted ‘filtered permeability’ by closing off rat runs to cars, opening up parks to cyclists and making quality segregated routes. If the cycle paths aren’t of high quality, they will be next to useless, a position the CTC has held since the 1930s. Speed reductions wouldn’t be just necessary in towns and cities, rural areas and villages should also benefit from slower speeds, said Russell of Sustrans. 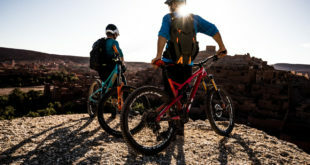 The point was also made – to agreement from most of the cycling experts – that the Highways Agency has spent many years designing out cycling from the roads it’s in charge of and therefore, when audits are carried out, it should be no surprise that demand for cycling seems so low. MPs asked why the Department for Transport and the Highways Agency don’t learn from best practice carried out in countries such as the Netherlands, Denmark and Germany? 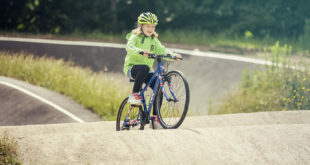 Quite, was pretty much the collective answer, although it was pointed out that some local authorities in Britain – such as Brighton – have been able to produce good quality cycling provision. John Dales suggested that Britain could learn from the trials taking place in France and give cyclists more priority at traffic lights. Dave Horton summed up by saying: "We must build for cycling as a mainstream activity." To no-one’s surprise, Mike Wilson from the Highway Agency said that traffic engineers haven’t been trained to focus on cyclists and pedestrians and instead have received training mainly on how to design for motorised transport. "We need real improvements to junctions, signage, traffic calming and speed limits among other areas along with proper infrastructure for cyclists such as dedicated cycle lanes if we are to make a real difference. The next three sessions of the inquiry will focus on active lifestyles, localism and the role of Government, with the final session on 4th March. Chris Boardman will be one of the experts called at next Wednesday’s session. Professor Phil ‘peak car’ Goodwin has been charged with producing a wrap-up report for the inquiry and this will be released in April.